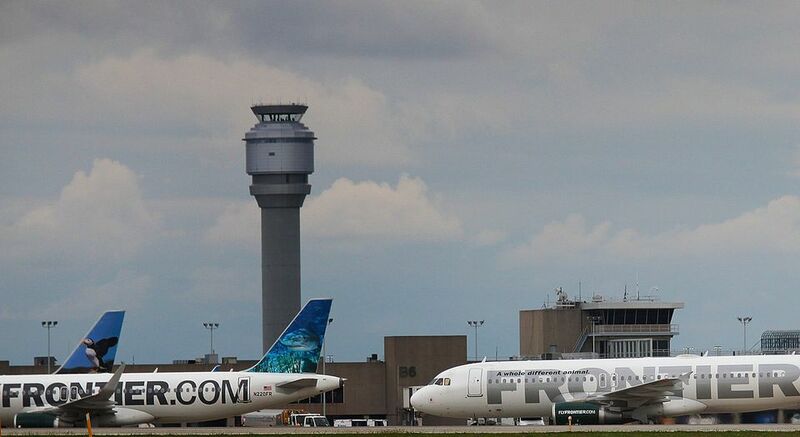 Whether you're going on a business trip or taking off on a well-deserved vacation, finding an affordable place to park near Cleveland Hopkins Airport is a major consideration. From the official airport lots to nearby hotels to off-site lots, Cleveland offers travelers a myriad of options. Cleveland Hopkins Airport operates both short-term and long-term parking facilities. There is also a cell phone lot, where people picking up travelers can wait at no charge. (unattended vehicles in the cell phone lot will be towed.) The rate at the short-term lot, located just east of the terminal, is $18/day maximum for less than 72 hours or $14/day maximum for more than 72 hours. The long-term lot is located behind the terminal and connected by elevated walkways and moving sidewalks. The rate is $12/day maximum. There is also a Credit-Card only long-term economy lot at Terminal and Park Rds. (near the Cleveland Airport Sheraton). A 24-hour shuttle connects the lot to the airport and the rate is $8/day maximum. Park n Fly, located just off of the airport property, offers 24-hour secure parking. Guests are taken to the airport on a 24-hour airport shuttle and offered a complimentary USA Today newspaper. Rates are $9/day and discounts are offered to seniors and AAA members. You can also print a coupon on Park n Fly's Web site and pay $7.50/day directly at the lot. The lot also has online rates starting at $6.95. Several airport hotels, the Holiday Inn and La Quinta Inn among them, offer special packages that include up to seven days parking while you are away on your trip. All you have to do is stay the night before you depart—not such a sacrifice if you have an early morning departure. Located just two miles from the airport, Airport Fast Park offers covered and uncovered, secure parking. Current rate as of 2015 was $10/day (coupon no longer required). The facility is connected with the airport by a complimentary 24-hour shuttle. Guests receive a complimentary newspaper and bottled water. Why is Cleveland the Home of Rock and Roll?